Please welcome Tina Tsai from Oh Snap! Let’s Eat to the blog today! 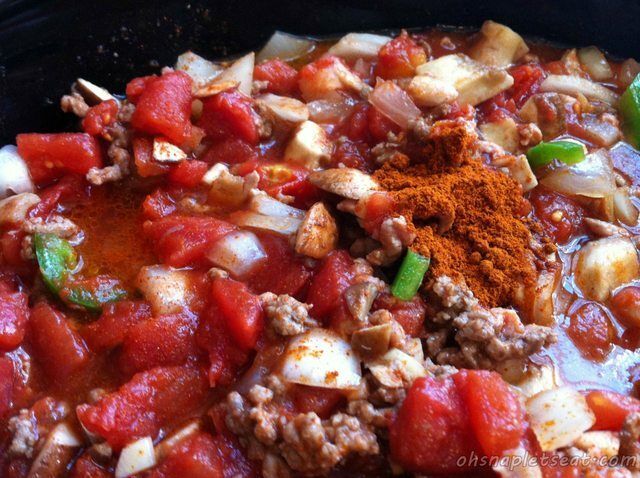 She’s sharing her Spicy Paleo Slow Cooker Chili with us! 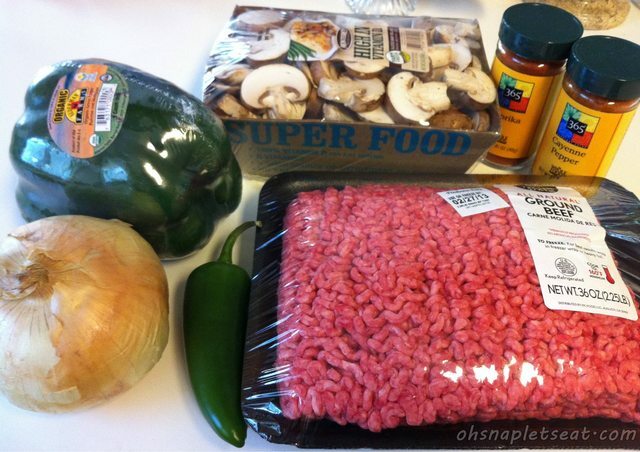 Yay for Paleo chili! 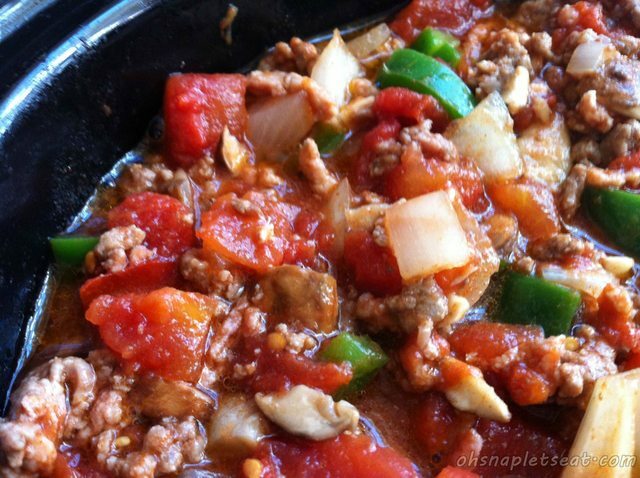 Chili is perfect for a lazy, chilly, rainy day, especially if you can make it in the slow cooker. It was exactly chili weather the other day so I was definitely craving it… the only issue was I didn’t have any chili powder laying around! 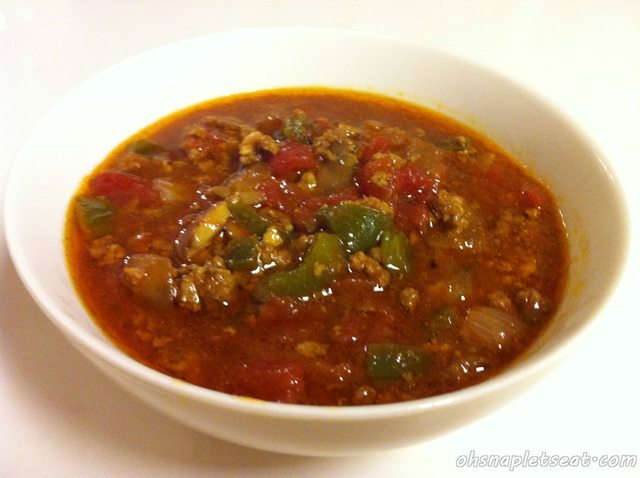 Doesn’t matter to me,because I can make paleo slow cooker chili without any chili powder! Be warned though, this crock pot recipe’s very spicy if you add the cayenne pepper and jalapeño! So, skip those if you don’t want it like that. to chop up all those things you are supposed to chop up. 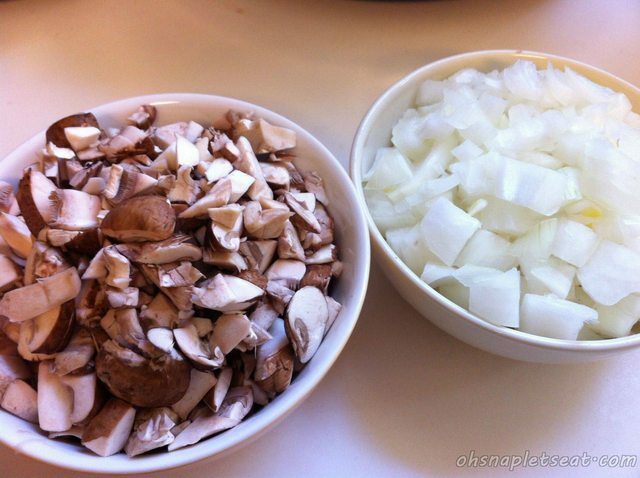 This includes the onion, green pepper, optional jalapeno, and mushrooms.
. So anything this size or bigger should work. 3. Add the paprika in there, and stir. 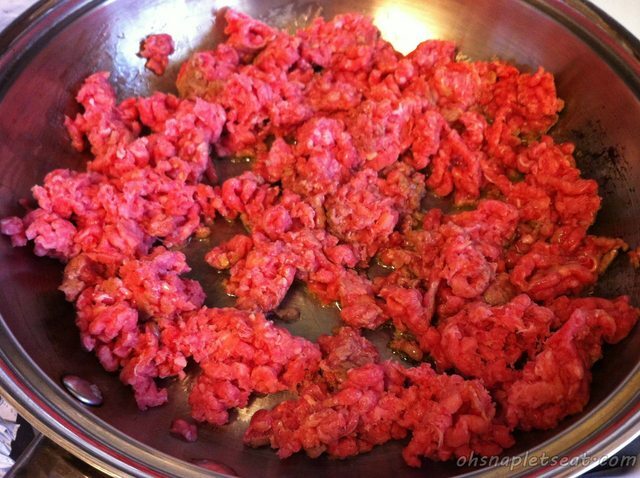 , and then add the ground beef. Cook until there’s only a little pink left, and make sure to break it down in to small chunks while doing so. 6. 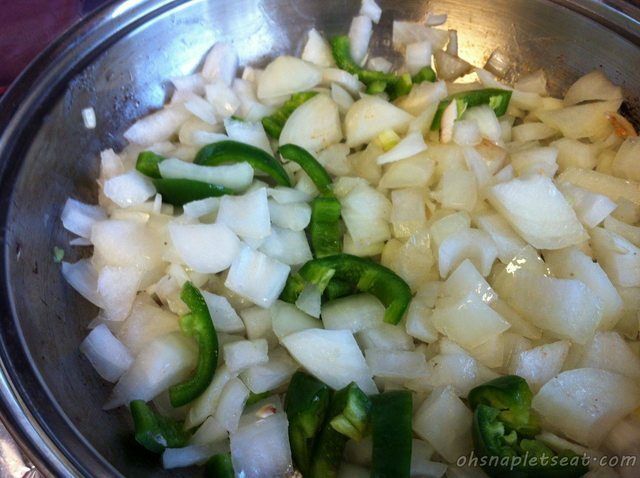 Next, it’s time to sauté your veggies (onions, green pepper, jalapeños if using, mushrooms, garlic)! If you don’t really have that buttery meat sauce mixture any more, add another tbsp of butter. Sauté until your onions are translucent. In a (paleo) nut shell, Tina Tsai is a foodie that loves eating deliciously and healthily. Having grown up in an Asian household in the United States (the South, to be more precise), she specializes in creating both Asian dishes and American dishes. You can catch up with her over at Oh, Snap! Let’s Eat! Awesome!!! Thanks for featuring my recipe!! 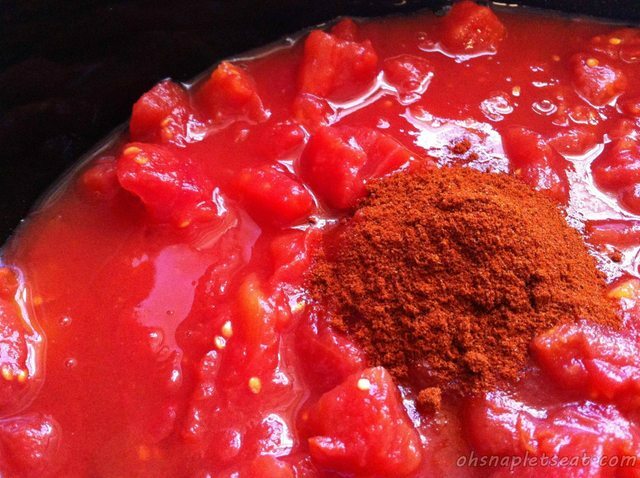 This is such a great recipe during winter!